In the middle of the popliteal fossa. Midpoint of the transverse crease of the popliteal fossa, between the tendons of biceps femoris and semitendinosis. Perpendicular insertion 1.0 – 1.5 cun, or prick the popliteal vein with the three-edged needle to cause bleeding. 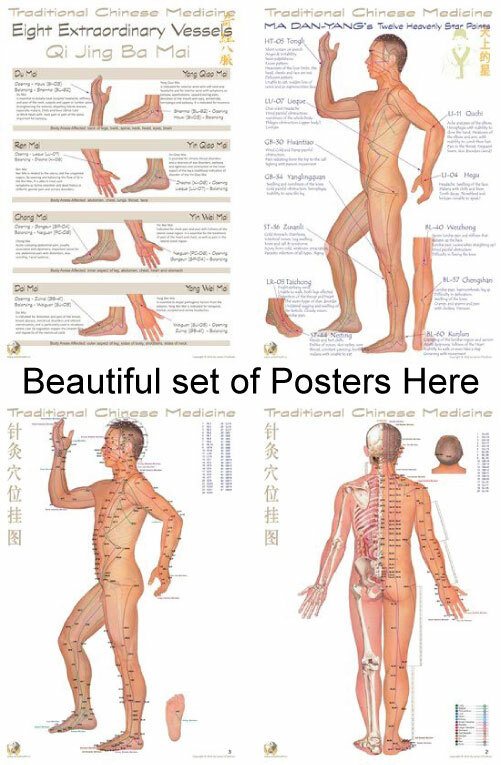 Wei zhong (Bl-40) is one of Ma Dan Yang’s ‘Twelve Heavenly Star Points’, long considered the pre-eminent list of the most important acupuncture points. 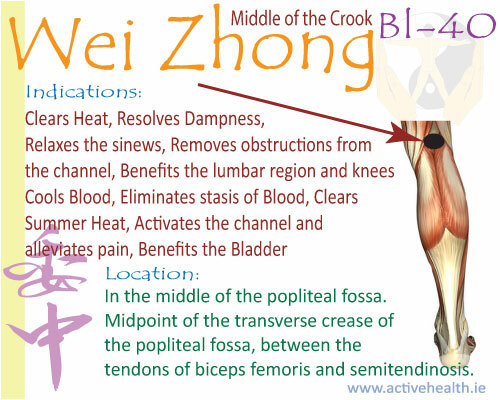 Wei Zhong (Bl 40) as the Lumbar Command point, is an excellent point for any low back condition, acute or chronic, muscle spasm. It is one of the main points for heat conditions such as summer heat, heatstroke and heat exhaustion. He-Sea points are where the Qi of the meridian collects and goes deep into the body. He-sea points are known to indicated treat rebellious Qi and diarrhoea. It is also known to help skin conditions, itching, oozing, inflammation, etc.. Good local point for leg a/or knee pain. This entry was posted in Acupuncture, Qi-points, Tuina on February 24, 2014 by activehealth.ie.